DOYLE, assisted by others – including Beda Singenberger, a Swiss citizen who ran a financial advisory firm – established and maintained undeclared bank accounts in Switzerland to hide those accounts from the IRS. DOYLE used a sham entity to conceal from the IRS her ownership of some of the undeclared accounts and deliberately failed to report the accounts and the income generated in the accounts to the IRS. In 2003, DOYLE’s father died and secretly left an inheritance of over $4 million to DOYLE. DOYLE, who was appointed the executor of her father’s estate, made court filings falsely stating under penalty of perjury that the total value of her father’s estate was under $1 million when, in truth and fact, it was more than four times that amount. Thereafter, in 2006, DOYLE, with Singenberger’s assistance, opened an undeclared Swiss bank account for the purpose of depositing the secret inheritance from her father. The account was opened in the name of a sham foundation formed under the laws of Lichtenstein to conceal DOYLE’s ownership. As of December 31, 2008, the account held assets valued at approximately $3,548,380. In 2010, the sham foundation controlled by DOYLE was re-domiciled from Lichtenstein to Panama. As of May 31, 2010, the sham foundation maintained assets of at least approximately $3,151,961.37. For each of the calendar years from 2004 through 2009, DOYLE willfully failed to report on her tax returns her interest in the undeclared accounts and the income generated in those accounts. For each of these years, Doyle also failed to file a Report of Foreign Bank and Financial Accounts (FBAR) with the IRS, as the law required her to do. Singenberger was charged on July 21, 2011, with conspiring with U.S. taxpayers and others to defraud the United States, evade U.S. income taxes, and file false U.S. tax returns. He remains at large. 1. Beda Singenberger who has appeared several times in blog entries, here. He was a Swiss enabler through a financial advisory firm. The indictment alleges (par. 29): "Between in or about 2007 and in or about 2010, Singenberger provided to one of his U.S. taxpayer clients a document (the "Singenberger Client List") containing significant details regarding clients and prospective clients who were U.S. taxpayers (including LACY DOYLE, the defendant) [List of details omitted]. (Par. 29.) For a previous blog discussing the list , see: U.S. Using a Client List of Indicted Swiss Banker/Enabler (3/14/13), here. Presumably since Singenberger is still at large, the DOJ's access to the list came from the U.S. taxpayer. 2. As with virtually all of the prosecutions, entities were involved and great lengths taken to hide the assets. 3. Note that the allegations are that Doyle failed to report the account interest on income tax return and failed to file FBARs for the years 2004 through 2009. (See also indictment pars. 43 ff.) It is not clear what happened in the later years. The indictment says (par. 15) that Doyle continued obstructive activities "through in or about 2012." 4. The banks involved are Credit Suisse and 4 other foreign banks pseudonymed serially (Indictment pars. 10-14): Foreign Bank A (UK bank with headquarters in London), Foreign Bank B (Swiss Bank with headquarters in Basel), Foreign Bank C (Luxembourg bank, with headquarters in Strassen), and Foreign Bank D (Swiss Bank with headquarters in Zurich). The Swiss government said it made the announcement about its plans on Tuesday to alert HSBC account holders whom it has been unable to locate, and to give them the chance to lodge a legal appeal if they object to having their information sent to the U.S. Internal Revenue Service (IRS). The move comes after the IRS asked Swiss tax authorities in April for assistance on HSBC Private Bank (Suisse) SA accounts held by Swiss-registered "domiciliary companies" with U.S. beneficial owners between 2002 and 2014. The Swiss Federal Tax Administration said the IRS targeted HSBC accounts "where there is evidence that the U.S. beneficial owner exercised control, directly or indirectly, over the account in violation of corporate governance ... by withdrawing funds from the account for personal use." HSBC said it was cooperating. "Following an information request in April 2016 from U.S. authorities to the Swiss Federal Tax Administration (SFTA), the bank has provided certain files, mostly related to former clients, to the SFTA," said Lonnie Frisby, a spokesman for HSBC's Swiss private bank. "The Swiss authorities may forward part or all of this information to U.S. authorities in accordance with applicable laws and treaties. Anyone subject to this request has been notified." A spokesman for Switzerland's tax agency in Berne declined on Tuesday to say how many HSBC accounts were involved in the IRS request, citing Swiss privacy laws. The article does note the SFTA appeals process for U.S. depositors to try to divert or derail the turnover of information. Good luck on that. As noted by a commenter below (David), the actual announcement can be reviewed here. The announcement, in pdf format, is in German for the first three pages and in English for the following pages. I previously blogged a district court holding that accounts related to online poker playing were FBAR reportable. See United States v. Hom, 2014 U.S. Dist. LEXIS 77489 (N.D. CA 2014), here; and Court Holds Online Poker Accounts are FBAR Reportable (Federal Tax Crimes Blog 6/9/14), here. Today, the Ninth Circuit affirmed the lower holding that one account -- the FirePay account -- was reportable, but reversed the lower court holding that the other two -- PokerStars and PartyPoker -- were not. United States v. Hom, 2016 U.S. App. LEXIS 13269 (9th Cir. 2016), here. In the Ninth Circuit, the issue turned on whether the accounts were foreign financial accounts, which turned upon whether the organizations were financial institutions. FirePay was a financial institution, the Ninth Circuit held, because it met the definition of money transmitter. The other two were not money transmitters or otherwise financial institutions as defined. The Ninth Circuit rejected the Government's argument that they should be treated as banks (a type of financial institution requiring an FBAR) because they functioned as banks, applying the plain meaning of the term bank to exclude these services. Two caveats about the opinion. First, the panel described it as nonprecedential under Ninth Circuit rules. Second, the Government made an argument -- which the Court declined to consider because too late (see p. 4 fn. 1) -- that PokerStars and PartyPoker were casinos, another category of financial institution which, if foreign, requires FBARs for accounts. With those caveats, this is a nice victory for the taxpayer and, while not precedential in the Ninth Circuit, does offer hope that others may avoid expansive definitions of foreign financial institutions requiring FBAR reporting. The common features of the various iterations of the IRS offshore voluntary disclosure programs (referred to here collectively as OVDP) have been: (i) filing delinquent or amended income tax returns for 8 years, (ii) payment of income tax penalties (20% accuracy related penalty for amended returns or the delinquency penalties (up to 45+%) for delinquent returns), (iii) filing 8 years of delinquent or amended FBARs, and (iv) a Title 26 Miscellaneous Offshore Penalty ("MOP") based upon a percentage -- currently 27 1/2% (increasing to 50% if a bad bank is involved) -- of the highest balance in the offshore accounts for the 8 year period. The inducement was that, with completion of the OVDP process via a closing agreement, the IRS will not refer the taxpayer to DOJ Tax for criminal prosecution. A taxpayer joining OVDP who thought the OVDP civil penalty structure was too high under the circumstances could opt out and be subject to a regular IRS audit that covered both income tax and FBAR noncompliance. Usually, taxpayers who were relatively innocent -- i.e., nonwillful -- with respect to income tax and FBAR noncompliance might want to either forego joining OVDP altogether or joining OVDP and opting out. If they were relatively innocent -- nonwillful -- the results of the audit would often be much better than the OVDP civil penalty regime, except possibly if certain other returns or forms (such as for foreign corporations or trusts) were not filed. But the "typical" U.S. taxpayer would only have foreign accounts with no foreign entities to muddy the water with other penalties that might apply and could, in any event, probably avoid those penalties with true nonwillfulness. The risk of opting out was that the taxpayer has miscalibrated as to his nonwillfulness. We have often discussed the word "defraud" as used in the federal criminal statutes. To summarize the discussion, the word defraud as meant in most federal criminal statutes means, in my words, deceiving to take away something of value from victim. However, in the federal criminal conspiracy statute, 18 USC § 371, here, which criminalizes in part pertinent a conspiracy "to defraud the United States," the word defraud, as interpreted, can mean a conspiracy to impair or impede the lawful function of a federal agency (such as most prominently for this blog, the IRS); the conspiracy need not have as its object the taking of money or value. Now, there is a lot of nuance behind that general statement of the difference between defraud as used in the mail and wire fraud statutes and as used in the general conspiracy statute. A good introduction, however, is provided by the Second Circuit in United States v. Coplan, 703 F.3d 46, 78 (2d Cir.2012), here, cert. denied, ––– U.S. ––––, 134 S.Ct. 71, 187 L.Ed.2d 29 (2013); I have discussed the issue in several blogs, I point readers now only to the one initially discussing Coplan, Coplan #1 - Panel Questions Validity of Klein Conspiracy (Federal Tax Crimes Blog 12/1/12), here; more detail on my thoughts on the difference is in John A. Townsend, Is Making the IRS's Job Harder Enough?, 9 Hous. & Bus. Tax L.J. 260 (2009), here. The wire-fraud statute, 18 U.S.C. § 1343 does not enact as federal law the Ninth Commandment given to Moses on Sinai. n1 § 1343 forbids only schemes to defraud, not schemes to do other wicked things, e.g., schemes to lie, trick, or otherwise deceive. The difference, of course, is that deceiving does not always involve harming another person; defrauding does. That a defendant merely "induce[d] [the victim] to enter into [a] transaction" that he otherwise would have avoided is therefore "insufficient" to show wire fraud. See United States v. Starr, 816 F.2d 94, 98 (2d Cir. 1987). n1 See Exodus 20:16 ("Thou shalt not bear false witness against thy neighbor.") (KJV). Here, the defendants feared that the jury might convict them of wire fraud based on "fraudulent inducements" alone. Hence they asked the district court to give the jurors the following instruction: that they must acquit if they found that the defendants had tricked the victims into entering a transaction but nevertheless gave the victims exactly what they asked for and charged them exactly what they agreed to pay. The district court refused to give that instruction, and the jury ultimately convicted the defendants of wire fraud and other crimes, most of which were predicated on the wire-fraud convictions. The question presented in this appeal is whether the district court abused its discretion when it refused to give the requested instruction. Bottom line, the Eleventh Circuit panel held, over the Government's objection, that the requested instruction was indeed a correct instruction on the law and that the court had abused its discretion in refusing to give the requested instruction. Criminal law enthusiasts will recall that it is not error to refuse a correct instruction where the point is adequately covered in other instructions (e.g., the general willfulness instruction in tax cases covers the concept of good faith) and, in any event, it may not be reversible error if error it be. The relevant facts were that the defendants were owners of clubs that used what are called "Bar Girls" or "B-girls" to entice unsuspecting male customers into their bars. Those girls did not disclose to the customers their relationship with the bar. Defendants did not contest those facts. But, they urged, that merely enticing unsuspecting and uninformed customers into the bar was not sufficient to meet the definition of defraud. More would be required, they urged, in order to make a case that the conduct rose to the level of the word defraud in the statute. Now, there was evidence that, after the customers entered the bar some conduct occurred which might meet the definition of defraud, but the defendants did contest whether they knew that such conduct occurred. Since they contested that conduct and their knowledge of the conduct, they urged, the Government had to prove those facts beyond a reasonable doubt and, more importantly, they urged, they were entitled to an instruction to the jury that, if all the Government proved beyond a reasonable doubt was that they knew that the girls were deceiving the customers to enter the bar, that conduct did not establish that they intended to defraud the customers and they should be acquitted. (In stating the defendants' claims, the panel does note an analogous episode from the classic movie Casablanca, noting that the defendant's defense was "what one might call the Casablanca defense, arguing that they were 'shocked, shocked' to learn that fraud was taking place within their South-Beach versions of Rick's Café Américain.n2 [citing in fn2 "See generally Casablanca (Warner Brothers 1942) ("Rick: How can you close [up my bar]? On what grounds? Captain Renault: I'm shocked, shocked to find that gambling is going on in here! Croupier: Your winnings, sir.")"). Switzerland's politicians have done too little to protect the country's banks from demands for data from foreign governments, UBS (UBSG.S) Chief Executive Sergio Ermotti said in an interview published by the SonntagsZeitung newspaper on Sunday. Since the financial crisis, cash-strapped governments around the world have clamped down on tax evasion, with authorities investigating Swiss banks in Germany, France and the United States. But Switzerland's attempts to negotiate with other governments have not provided legal certainty or closed the book on issues of the past, Ermotti said. "This is unacceptable and opens the door for a new offensive against Swiss banks," he told the paper, adding that the government had been too ready to hand over customer data and that it is perhaps too late to get a better deal after years of negotiations. Last week UBS said it had been ordered by Switzerland's tax agency to provide France with tax information and it expected other countries to file similar requests. The request related to current and former French-domiciled clients and was based on data from 2006 and 2008, the bank said. Switzerland's tradition of banking secrecy has helped to make it the world's biggest offshore financial center, with more than $2 trillion in foreign wealth kept with the country's banks. In 2014 French authorities placed UBS under formal examination over whether it had helped clients to avoid tax and investigating judges ordered the bank to provide bail of 1.1 billion euros ($1.22 billion). JAT Further Comment: The Swiss Government was an enabler of this genre of Swiss banking activity. Simply put, the Swiss banks could not have behaved as they did without the wall of secrecy established by the Swiss Government which certainly, over the years, knew (or was willfully blind to such knowledge) that the Swiss banks were enabling U.S. taxpayers and other countries' taxpayers evade tax. In many ways its actions over the years could be viewed as a actions of a co-conspirator. But, there is the old saying that there is no honor among thieves. So, the Swiss bankers could not have reasonably expected that the Swiss Government would protect them when the Swiss Government determined that it was not in its interest to further protect them. (a) A prisoner in custody under sentence of a court established by Act of Congress claiming the right to be released upon the ground that the sentence was imposed in violation of the Constitution or laws of the United States, or that the court was without jurisdiction to impose such sentence, or that the sentence was in excess of the maximum authorized by law, or is otherwise subject to collateral attack, may move the court which imposed the sentence to vacate, set aside or correct the sentence. A common claim in a § 2255 proceeding is that the prisoner's attorney rendered ineffective assistance of counsel at the criminal trial leading to incarceration. James A. Simon, a person about whom I have devoted several blog entries during his trial and appeal, used § 2255 for such Monday morning quarterbacking on the basis of claimed ineffective assistance of counsel. Although mentioned in a number of blogs, prior to this blog, the last significant entry was Simon's Last Hurrah / Fizzle? (Federal Tax Crimes Blog 8/16/13), here. This blog discusses his most recent case, a § 2255 proceeding. United States v. Simon, 2016 U.S. Dist. LEXIS 86584 (ND IN 2016), here. Prefatory to getting into the decision, I just state at the out set that I think it is a well-written and reasoned decision. The author is Robert L. Miller (Wikipedia entry here), who handled the trial and thus was uniquely situated to observe the effectiveness of defense counsel and the effect of any counsel errors on the outcome of the case. Plus, from my reading of the decisions he has written, particularly in the Simon trajectory through the end of the criminal trial, he seems to be a smart and good judge. Now to dig into the details. The opinion is long, 51 pages. I cover only the highlights related to tax and FBAR in this blog entry. He was also convicted of mail fraud charges and made § 2255 claims for those convictions, but I do not address them here. He also made the claim about that the trial attorney erred in not having Simon testify at trial, a quintessential type of judgment call. I do not address that claim here. Mr. Simon was a certified accountant, professor of accounting, and entrepreneur with interests in several businesses and entities. One of those ventures was JAS Partners, a domestic limited partnership in which Mr. Simon and his wife each had a one percent partnership stake and the Cook Islands-based Simon Family Trust owned the other 98 percent. Another of Mr. Simon's ventures was Elekta Ltd., a corporation chiefly owned by Mr. Simon's retired sisters but entrusted wholly to Mr. Simon's management. Elekta owned nineteen percent of a third venture that Mr. Simon managed, JS Elekta. JS Elekta in turn owned 75 percent of a fourth business, Ichua Company, also managed by Mr. Simon. Of those four businesses over which Mr. Simon had signature authority, three — Elekta, JS Elekta, and Ichua — were foreign entities possessing foreign bank accounts. This case is about money that Mr. Simon paid to himself from those four entities and from another domestic venture, William R. Simon Farms. Between 2003 and 2006, Mr. Simon (or his immediate family members) received about $1.8 million combined from the businesses, which Mr. Simon spent on personal and family expenses and recorded as loans in his personal financial records. No promissory notes existed for these purported loans, and Mr. Simon paid no interest to the companies that made them. He repaid a small portion of the principal to JAS Partners after becoming aware of the government's investigation into his finances. He reported none of this money as income on his tax returns. In 2005 Mr. Simon paid less than $400 in taxes, and in each of the other three years between 2003 and 2006 he paid no taxes at all and claimed a refund. None of the tax returns disclosed that Mr. Simon had interests in or control over foreign bank accounts. Mr. Simon prepared and filed these tax returns himself. During these years, Mr. Simon filled out need-based financial aid applications for the private schools his children attended. On these applications, he reported that he had no or very little income, suffered large debts or losses, spent no money on clubs or vacations, had only a few thousand dollars of assets, was in a precarious financial situation due to business failures and litigation, and had enough money to keep him "afloat but barely." These representations were all false: Mr. Simon had the payments from his businesses, spent lavishly on several expensive club memberships, and could afford vacations to Europe and Disney World in addition to a comfortable lifestyle for himself and his family. Based solely on these applications and the tax forms Mr. Simon submitted, the schools gave the Simon family a total of $120,000 in need-based financial aid. Mr. Simon also filled out federal "FAFSA" financial aid applications for one of his daughters to attend college. As he did on his private financial aid applications, Mr. Simon reported minimal gross income and assets on the FAFSA application. In November 2007, IRS agents searched Mr. Simon's house pursuant to a warrant. Mr. Simon hired attorneys soon after that and began preparing a defense to possible charges. His attorneys hired a team of investigators and conducted their own investigation into Mr. Simon's finances, including interviewing the people already interviewed by government agents. Mr. Simon's defense team also met with prosecutors to discuss the probable charges, to guide their planning of colorable defenses. In April 2010, Mr. Simon was charged in a 23-count indictment. Counts 1-4 alleged that Mr. Simon filed false tax returns for the years 2003-2006. The tax returns were allegedly false in that they underreported income, and in that they didn't check the "yes" box of Line 7a on Schedule B to IRS Form 1040. The question associated with Line 7a asked whether Mr. Simon had any interest in or authority over foreign accounts. Counts 5-8 charged Mr. Simon with failing to file forms called Reports of Foreign Bank and Financial Account, or "FBARs," for the years 2004-2007. FBARs concern foreign financial accounts, and a person is required to file them if he or she has an interest in or signature authority over foreign accounts worth more than $10,000. Counts 9-19 charged Mr. Simon with mail fraud related to the need-based financial aid applications he made to the private schools his children attended. Those counts alleged that Mr. Simon underreported his income on the forms, and that the tax returns he attached were fraudulent for the same reasons as alleged in counts 1-4. Counts 20-23 charged Mr. Simon with federal financial aid fraud based on the FAFSA forms he filled out on his daughter's behalf. The FAFSA application required Mr. Simon to include information from his tax returns; if the tax returns were false (as alleged in counts 1-4), the aid applications were fraudulent as well. Ms. Sing and Mr. Timmerman argue that the district court's tax loss estimate is fatally flawed and that this error infected the whole of the sentencing process. It's not entirely clear from the text of § 2T1.1(c)(1) what mens rea the government must prove with respect to a tax loss. Rather than employing  the standard and rigorous mens rea categories discussed in the Model Penal Code or much of contemporary criminal law, the guidelines say the government must show the loss amount was the "object of the [defendants'] offense (i.e., the loss that would have resulted had the offense been successfully completed)." And you might well wonder whether, translated into the more helpful heuristics of the Model Penal Code, this means the government must show the defendant intended, knew of, or perhaps was recklessly indifferent to or negligent about the amount of loss the government would have suffered "had the offense been successfully completed." But, as the defendants concede, they, the government, and the district court in this case have all proceeded on the assumption that to qualify as the "object of the offense" the loss in question must have been intended. See United States v. Manatau, 647 F.3d 1048, 1048 (10th Cir. 2011). And that much, they say, the government failed to prove in this case. So, the Tenth Circuit raised the concern but did not develop the issue or resolve it. Although the comment is somewhat cryptic, I have tried to develop it as best I could. Bottom-line, thought, I agree that the intended loss is the concept. The Court does not cite the provision in the MPC to which it refers. I will provide here some background to the MPC and the apparent provision to which the Tenth Circuit referred. The MPC is a model code developed by the American Law Institute "to stimulate and assist legislatures in making an effort to update and standardize the penal law of the United States of America." See Wikipedia entry on Model Penal Code, here. The MPC offers some fundamental concepts, including, in § 2.02, the General Requirements of Culpability. See the reprinting by Professor Vernelia R. Randall, here. In relevant part, the "Minimum Requirements of Culpability" for a criminal offense is that the person "acted purposely, knowingly, recklessly or negligently, as the law may require, with respect to each material element of the offense." MPC § 2.02(1). Each of the types of culpability are further defined in MPC § 202(1). The Sentencing Guidelines term "object of the offense" seems to be an intent concept, as the parties agreed in Sing and thus fit within the concepts of "purposely" and "knowingly" in the MPC. Hence, the sentencing court and the parties agreement that intent was required for the tax loss in the object of the conspiracy resolved any issue as to the concept in the Sentencing Guidelines. In this regard, since the reference is to the object of the offense, like the offense conspiracy, it probably imports the mens rea element of the offense (including relevant conduct). 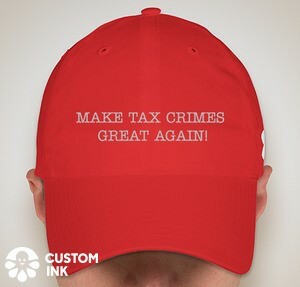 Tax crimes are specific intent crimes. See Cheek v. United States, 498 U.S. 192 (1991) (the statutory element of willfulness in most Title 26 tax crimes requires specific intent to violate a known legal duty). Hence, the mens rea element seems to be the same as the underlying offense -- the Cheek willfulness. Another concept defined in the MPC for some types of culpability is "recklessly." See MPC § 2.02(c). A question presented by the Cheek willfulness element is whether willful blindness (or a related concept of reckless conduct) is a nonstatutory expansion of the specific intent concept in the "willfully" element for tax crimes or, instead, merely permits a jury to infer the specific intent from finding conduct that might be characterized as reckless. I will just link below some of the blogs in which I discuss the issue. Willful Blindness / Conscious Avoidance and Crimes Requiring Intent to Violate a Known Legal Duty (Federal Tax Crimes Blog 7/21/14), here, discussing the concepts in the criminal context. More on Recklessness as Cheek Willfulness (Including for FBAR Civil Penalty) or Willful Blindness (Federal Tax Crimes Blog 7/22/14), here, discussing the concepts in the civil willfulness context.